I bought a new popsicle mold. I love it. 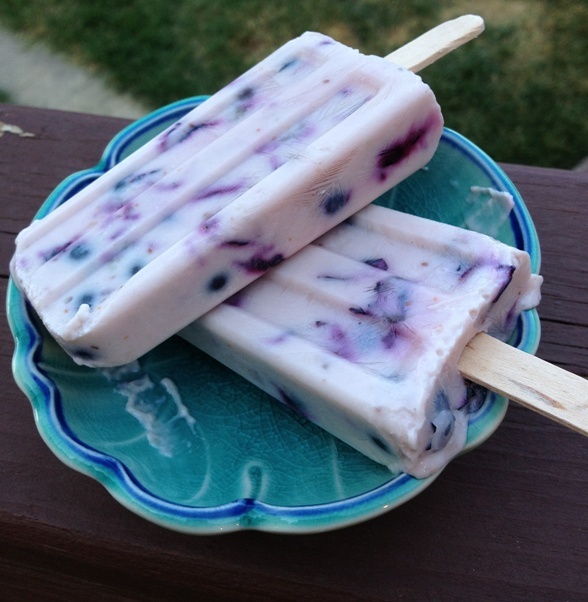 I have made a few different kinds of popsicles so far. 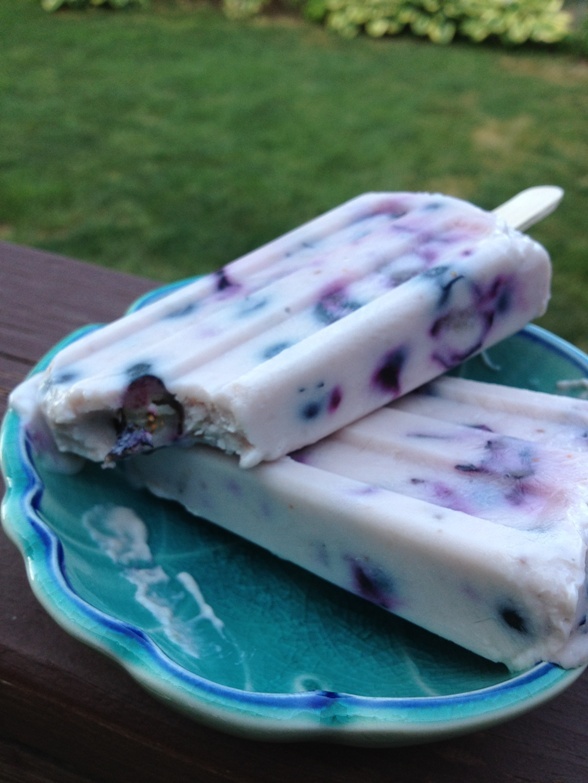 And, I found a book I love with many fun recipes for Paletas (Mexican ice pops). The book is called Paletas: Authentic Recipes for Mexican Ice Pops, Shaved Ice & Aguas Frescas by Fany Gerson. I checked it out at the library but who was I kidding. . . I need to go buy this book now. This recipe is a variation on one I read in her book. They are not too sweet, a little tart and so refreshing! Plus they are low in sugar and fat free. Perfect after all that potato salad and brats you are going to eat today. 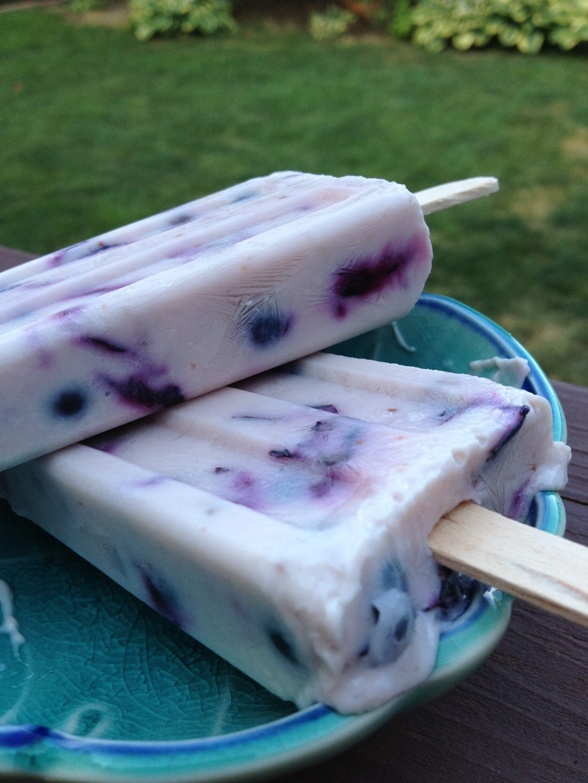 I have a million popsicle ideas floating around in my brain right now. I will share a few more as the summer progresses. In the meantime, have a great holiday! Be safe! It’s very dry where I live so be extra careful with those sparklers! I gotta go lay in the sun now! Place water and sugar in a saucepan over medium high heat. Bring to a boil, stirring to dissolve sugar. Add lemon peel, turn down the heat and simmer for 5 minutes. Let syrup cool to room temp. In a bowl, crush the berries slightly with a fork or wooden spoon. Stir in the agave and yogurt. Whisk in the sugar syrup. Pour into molds and freeze for 4 -5 hours or until firm. Remove from molds and enjoy! 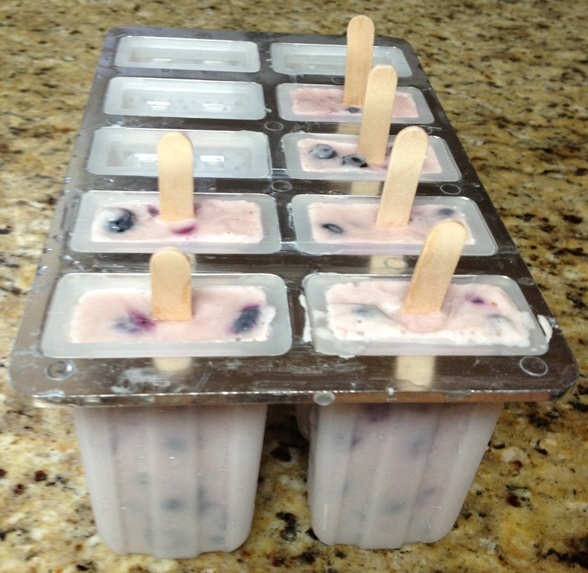 Makes 8-10 regular size popsicles.